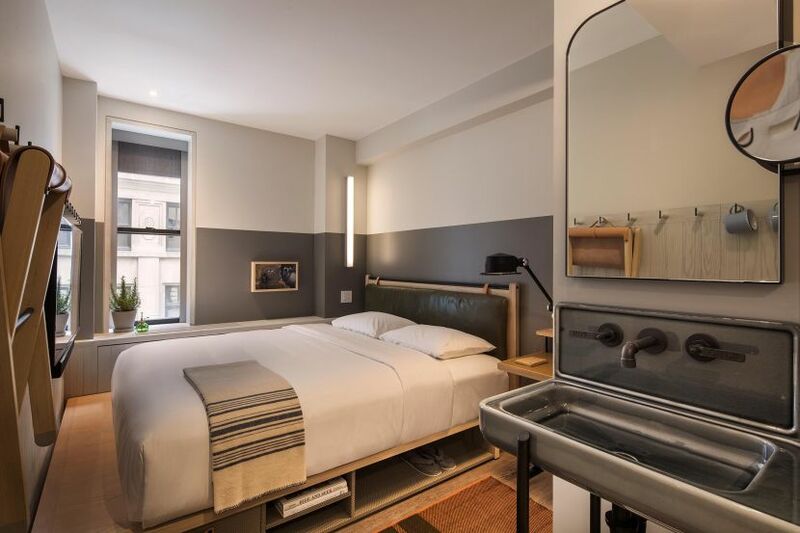 During my last trip to New York, I got to experience staying at one of the coolest hotels in town, that with it's incredible design, great prices and amazing atmosphere is making new rules when it comes to boutique hotels. 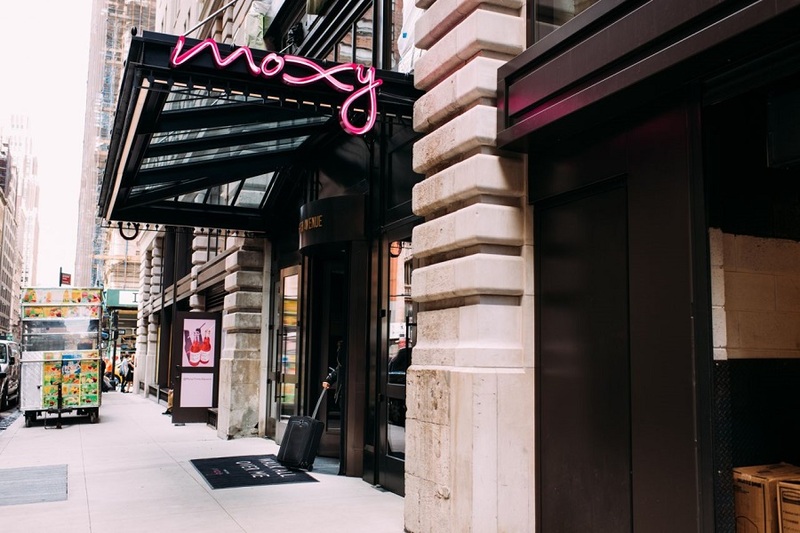 Moxy Times Square is situated right in the heart of New York, just a few steps aways from Times Square and Empire State Building, my favorite Bryant Park and the coolest neighbourhood Chelsea! 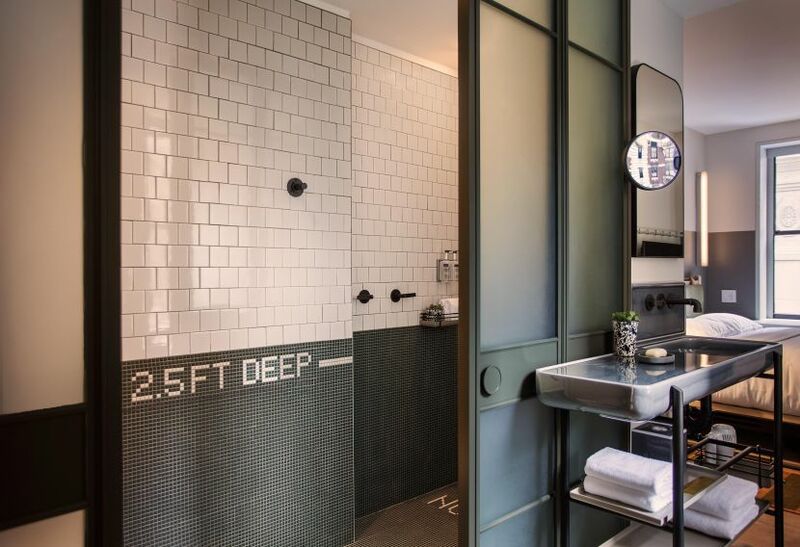 The hotel is a stylish mix of rustic design and modern elements, creating a vibrant atmosphere both in room and all public hotel spaces. 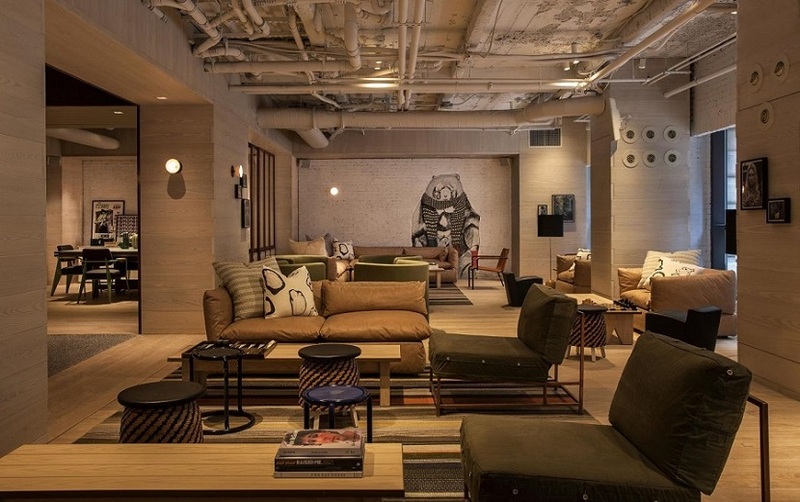 Moxy is well known for it's diverse and rich offer such as special gym classes (like a rooftop yoga that I really hope to experience next time I'm in town), different DJ guests in its Bar Moxy and many cool events in collaboration with different artists. 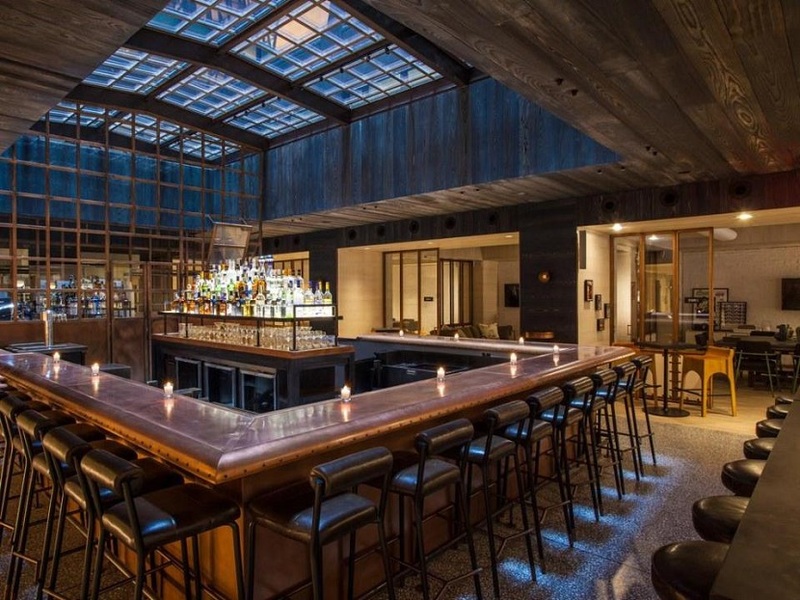 It's also an amazing place for all "foodies" out there as it has five TAO restaurants within the hotel that are bringing a new concept when it comes to dining, focusing on design and special, different menus. 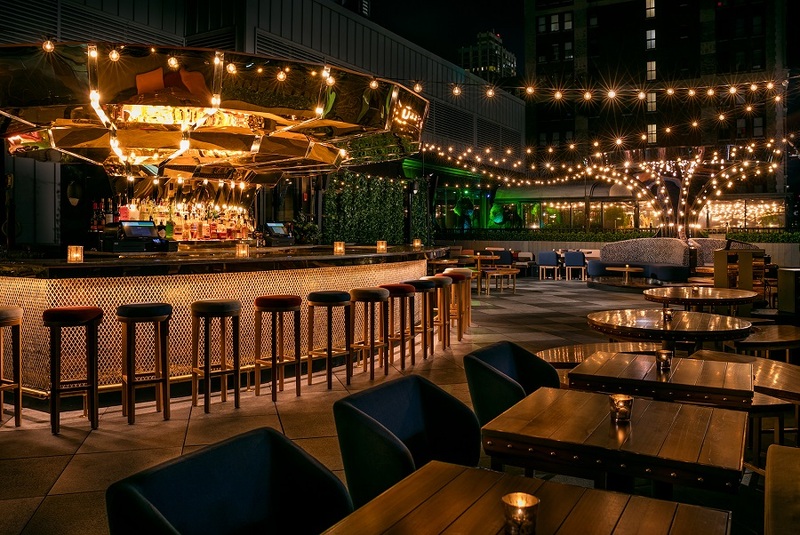 Starting with Magic Hour, the biggest rooftop bar with a magnificent view on Empire State Building, which is especially known for its Duck Carnitas Tacos and Carnival burger. Seafood lovers have to visit Legasea where chefs Ralph Scamardella and Jason Hall are putting a special (but of course delicious) twist on classic seafood dishes. For breakfast make sure to stop by Egghead, which as the name says, is focusing on eggs and is well known for it's special egg sandwich. Last but not least there's also a Bar Moxy, on the second floor of the hotel, that offers a rich all-day menu with different cocktails, snacks for a quick break from a hectic New York day!